High-style is an understatement when it comes to Sportalm Maelys Insulated Ski Jacket with Real Fur. Perhaps haute couture would be a better way to describe this slim-fit jacket, with a silver, shimmery fabric peppered with embroidered stars. 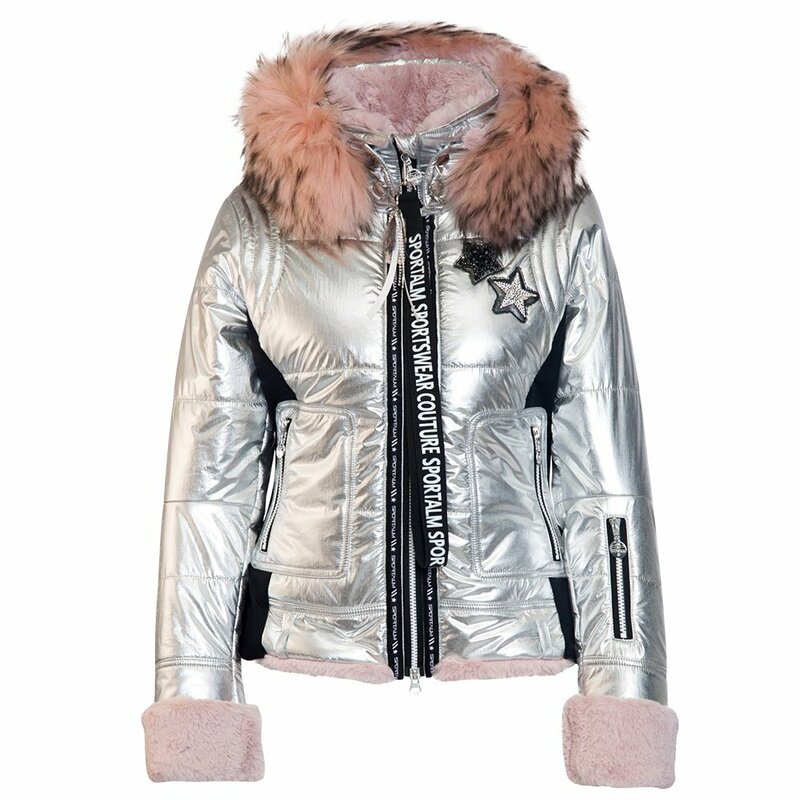 Other posh design elements include an oversized branded zipper pull and dyed, luxurious real fur on the cuffs and removable hood. A light waterproof rating is meant to be worn in clear weather, but because this is extremely insulated, it has a high warmth rating ideal for keeping toasty on fresh powder days. The Sportalm Maelys Insulated Ski Jacket with Real Fur is a true stunner, built for women with refined winter taste.